Looking to stretch those legs and increase your distance? Training for a century but want to improve your endurance without committing to a full century? This Flat-ish 70 Miler is the perfect ride for that. 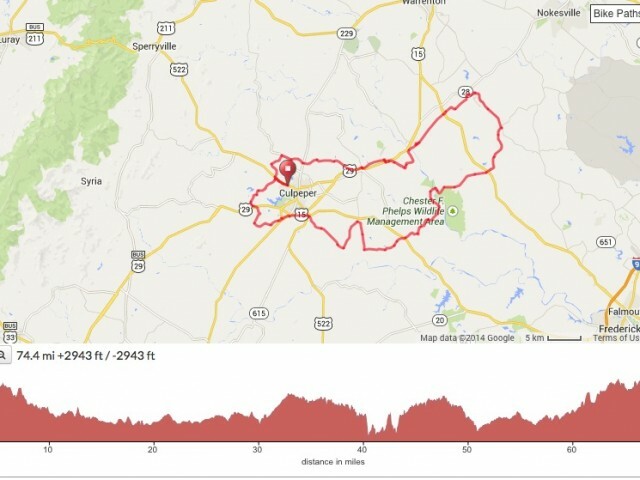 Starting within the confines of the Town of Culpeper, this ride makes it way out through Remington into Midland and back past Kelly’s Ford. 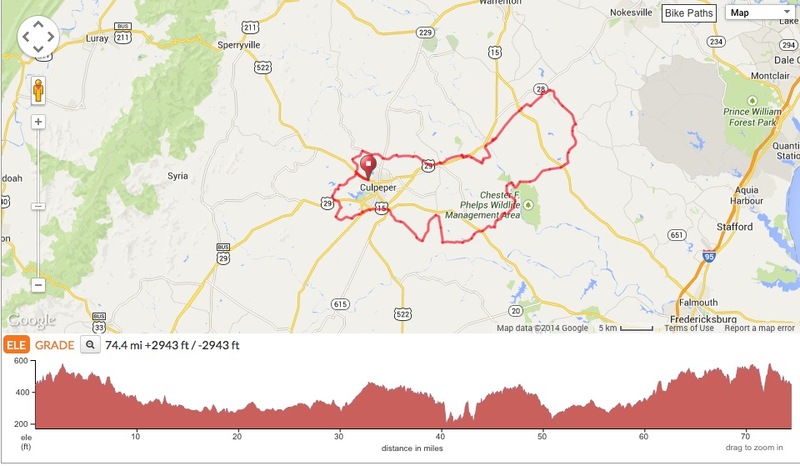 The ride finishes up through the “plains” of Culpeper on Batna Rd. And ends with one gear grinder up the in-gamous Gibson Mill Rd. Linda from NY // January 21, 2010 at 10:49 amFrom the previous postÃ¢Â€Â¦Jacqlyn: This oneÃ¢Â€Â™s for you! ?? ?Hillary to Banned Radical Muslim Scholars: Welcome Bahi3*****************************************Lknda&#82!0;..wcat else would you expect from a confessed Alinsky radical…..she is a disgrace to our country and it’s values and principles as defined by our founding fathers!! !